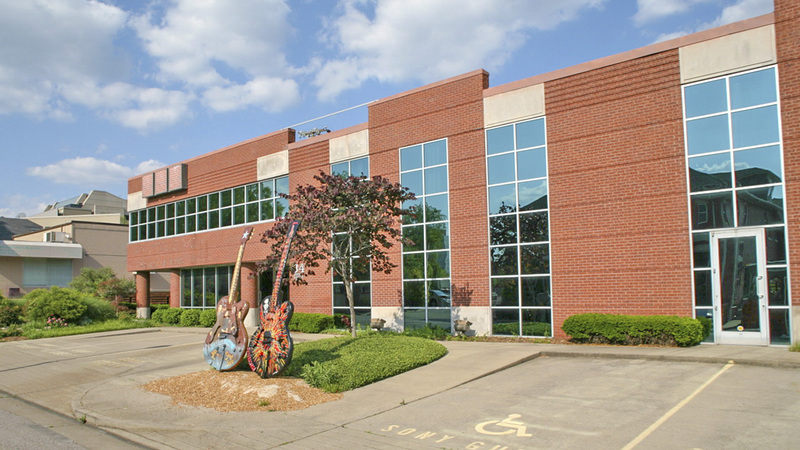 Located southwest of downtown Nashville, this neighborhood covers more than 200 acres and is home to the unique collection of recording studios, offices, and residences that made Nashville the center of the American music industry. 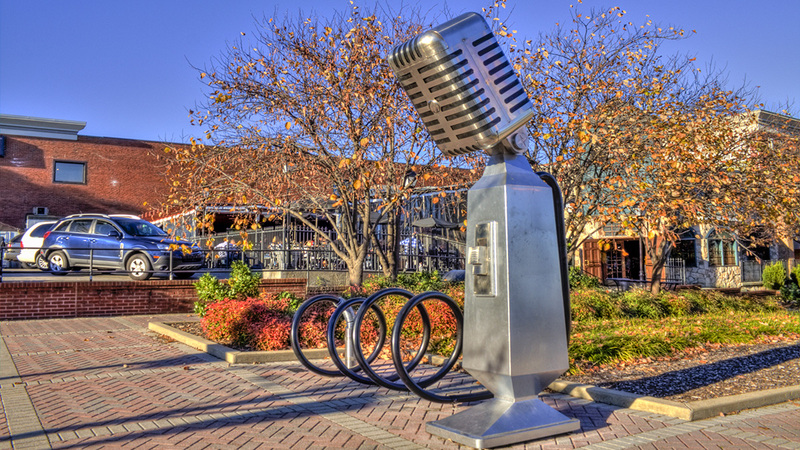 Beginning as a streetcar suburb in the late nineteenth century, the residential area became the site of many record companies and studios in the 1950s and 1960s, bolstered by the success of WSM’s Grand Ole Opry program, which began in 1925, and the several radio stations operating in the city. Following World War II, residential neighborhoods beyond the city’s downtown core were zoned commercial, causing many music executives and entrepreneurs to flock to this more affordable area. 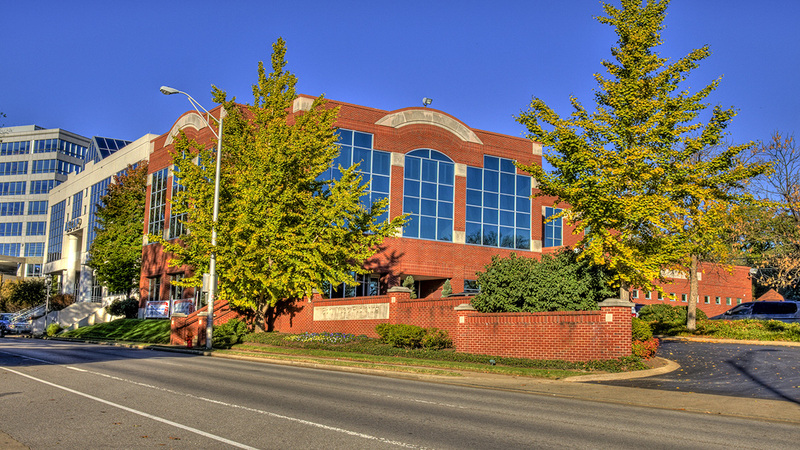 The tree-lined neighborhood includes segments of the north-south-oriented Sixteenth, Seventeenth, Eighteenth, and Nineteenth Avenues South, as well as Music Square West, Music Square East, Music Circle East, Music Circle South, Grand Avenue, Chet Atkins Place, and Roy Acuff Place. Many internationally known performers, including Elvis Presley, B.B. King, and Dolly Parton, have recorded music in the studios here. 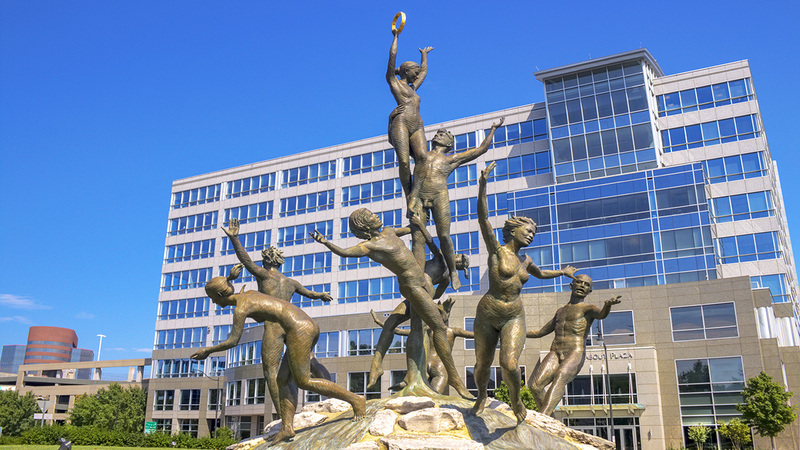 The 40-foot-tall bronze sculpture Musica, by Alan LeQuire, is the centerpiece of the north end of Music Row, located in a roundabout where Music Square East and Division Streets converge. 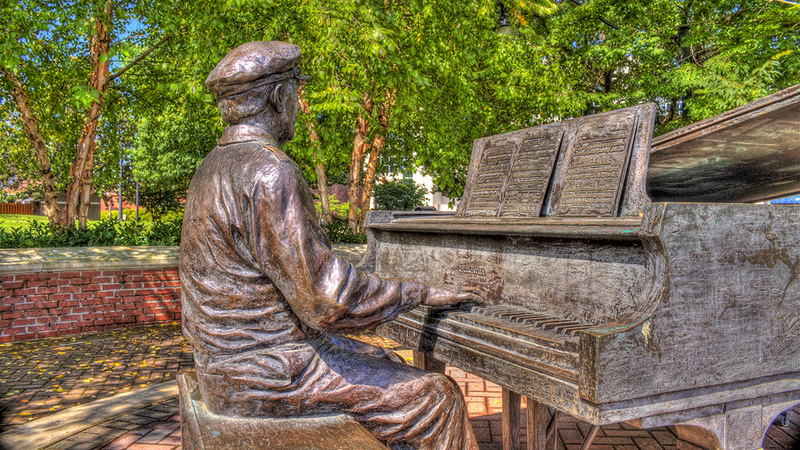 Just to the south is Owen Bradley Park, featuring a statue of record producer Owen Bradley seated at a piano. 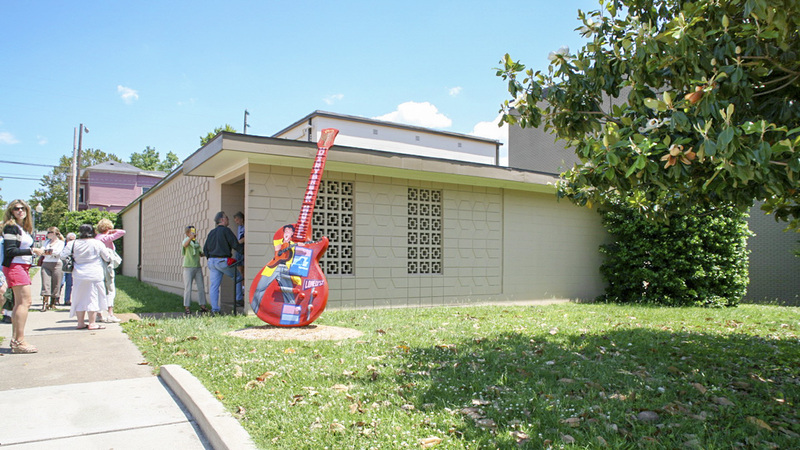 Bradley and his brother Harold are credited with the genesis of Music Row, opening the area’s first recording studio on Sixteenth Avenue South in 1954. 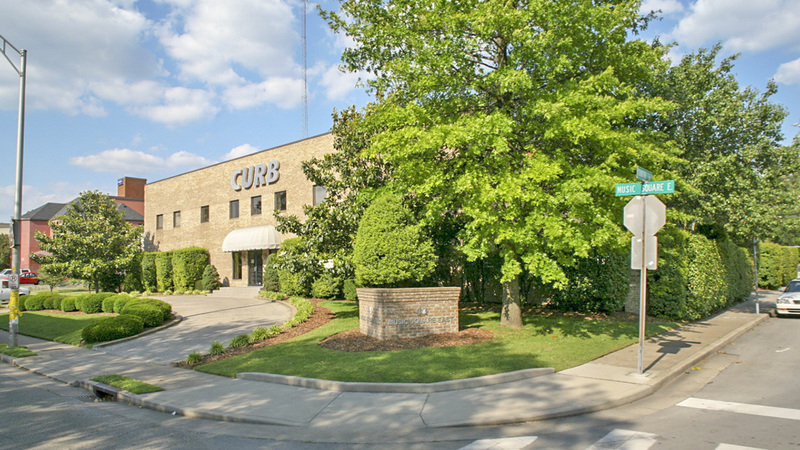 Although significant portions of the neighborhood were redeveloped in the past few decades, the south end of Music Row is protected by a conservation zoning overlay and remains residential in scale. 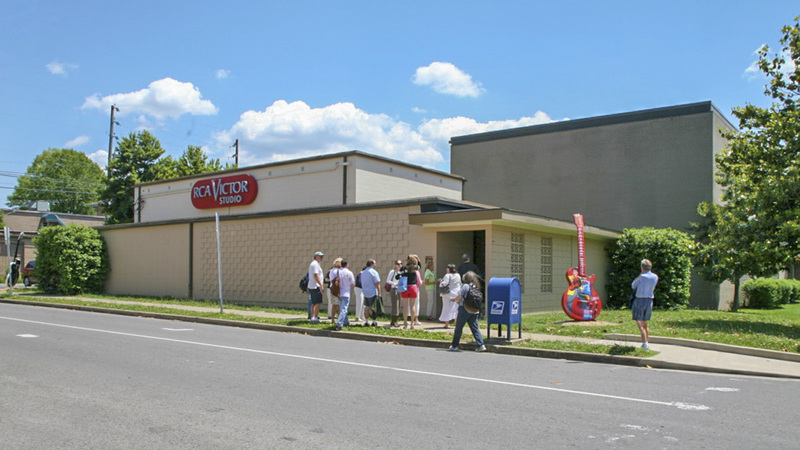 The area is home to more than 200 music-related businesses, with RCA Studio B, the RCA Victor Studios Building, the House of David, and the Little Sisters of the Poor Home for the Aged listed in the National Register of Historic Places.